The Best marbled pound cake is rich and moist. No frosting is required. Imagine my surprise this morning while cleaning out a drawer, when I came across a old recipe for yet another version of pound cake. While our go-to recipe is Uncle Wen’s lemon pound cake, the family would never refuse any baked goods which included chocolate and vanilla! The Best Marbled Pound Cake Recipe! This “Recipe Of The Month” comes from a long forgotten cookbook membership subscription. It was a printed as a review for a newly published cookbook in the Farm Journal collection – Homemade Ice Cream and Cake – a new collection of recipes by the food editors at the Farm Journal. The cookbook is not part of my extensive collection but I did try the recipe! You should too. Host a book club? Make it about cookbooks, themed cooking, and recipes! Who does not like ice cream and cake? Along with some incredible recipes for home made ice cream, the collection came with recipes for irresistible cakes including this Marbled Pound Cake. Our ice cream machine is long gone but this cake recipe was kept safe and obviously well hidden. 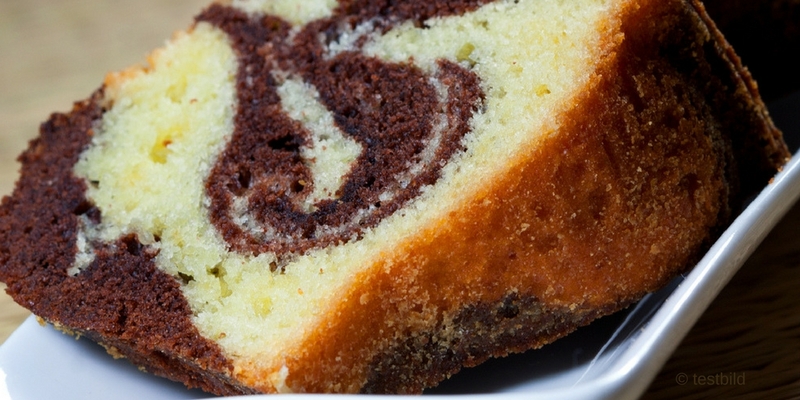 This marbled pound cake is so rich and moist you won’t need any icing or frosting. My preference is for a dusting of powdered sugar! Cream the butter; gradually add sugar and beat until light and fluffy. Beat in the eggs, one at a time, creaming well after each addition. Sift together the flour, baking powder and salt. Add alternately with milk and vanilla to creamed mixture. Take out 2 cups of the cake batter. Blend cocoa into it. Alternately spoon light and chocolate batters into lightly greased and floured 10″ tube cast aluminium, bundt-cake pan. Bake in a slow oven (325*) for 1 hour and 10 minutes for a 10: tube pan or 1 hour and 30 minutes for the heavier, cast aluminium pan or until the cake tests as done with a cake tester. Cool in the pan about 10 minutes. Invert the cake on a wire rack and remove carefully from the pan. Cool the cake completely. Sift on the confectioners sugar. 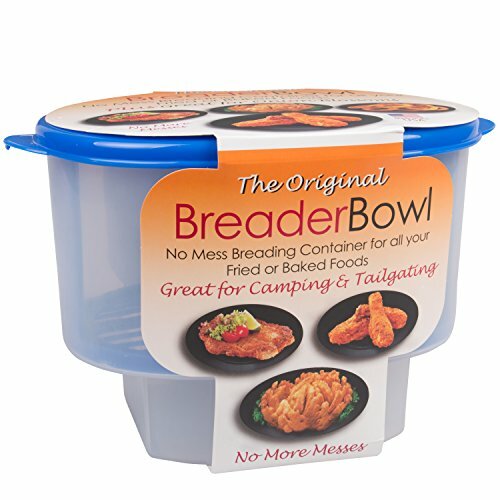 You will also need: Mixer, bowls, measuring spoons, spatula, cake tester, bundt-cake pan or 10″ fluted tube pan. Cook Time: 1 hour and 10 minutes for a 10″ tube pan or 1 hour and 30 minutes for the heavier, bundt-cake pans or until cake tests done. This marbled pound cake is very buttery and moist. If you would like a richer chocolate color, increase the amount of cocoa by two or three tablespoons. What flavor ice cream do you serve with this cake? Chocolate or French Vanilla? We serve French Vanilla. Nutritional Information: We do not have any specific nutritional information available, but the ingredients speak for themselves – the resulting cake is loaded with calories! 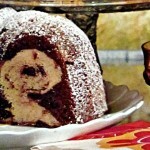 1 The Best Marbled Pound Cake Recipe! Previous Post Best Marbled Pound Cake: Moist Chocolate and Rich Vanilla Flavors Next Post Double Layer Pumpkin Cheesecake Pie: Double The Creamy Goodness!